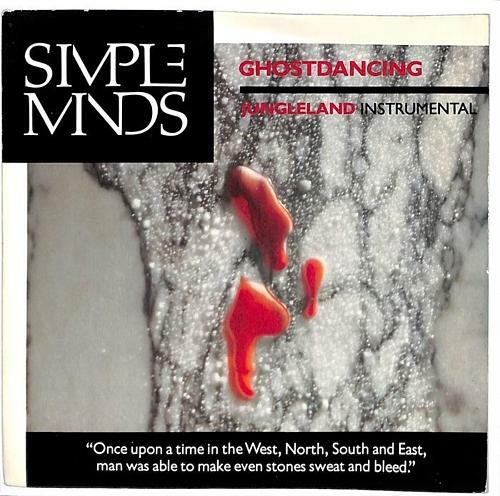 "Ghostdancing" was released as the fourth and final single from Simple Minds' most successful album Once Upon A Time, which was released back in October 1985. It was the only single from the album not to make the UK Top 10, but still remains one of my favourite tracks from the album. The song featured as track 3 on side A, and the album version lasts for 4:45. 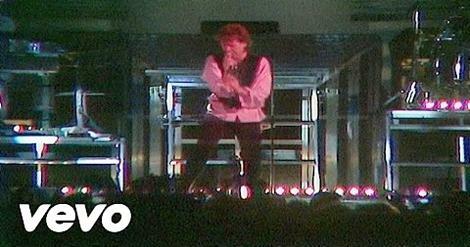 Penned by guitarist Charlie Burchill, keyboardist Mick MacNeil, and frontman Jim Kerr, the first live performance of the song was during the Live Aid convert at the John F. Kennedy Stadium on 13th July 1985. The single was produced by Bob Clearmountain and Jimmy Lovine, and was released on the Virgin record label. It entered the UK singles chart at No.22 on November 6th 1986, making it the highest new entry that week. It climbed to a peak position of No.13 the following week. The single also reached No.3 in Ireland and No.18 in the Netherlands, where the band were particularly popular during the mid to late 1980s. The B-side featured an instrumental version of "Oh Jungleland". "Ghostdancing" featured as track 12 on the 1992 compilation album Glittering Prize 81/92. The three previous singles released from Once Upon A Time were "Alive and Kicking" (No.7), "Sanctify Yourself (No.10) and "All The Things She Said" (No.9).